Box office revenue exceeded $500 million in the Mena region, according to a research by professional services firm PriceWaterhouseCooper (PwC) and the Knowledge Partner of the upcoming Mena Cinema Forum in Dubai, UAE. This is about 1.25 per cent of the global box office revenue of $39.92 billion recorded last year, up 3 per cent from 2016, according to ComScore. In 2017, North America had $11.12 billion box office revenue. This was down 2.3 per cent from 2016’s record $11.4 billion, the international box office helped propel the global estimated final to its own record. China had a record total ticket sale of $8.59 billion in 2017, said a report by ComScore. “The box office turnover in the Mena region would have reached $500-$550 million in 2017,” said Dr Martin Berlin, partner and Global Deals Real Estate leader at PWC. 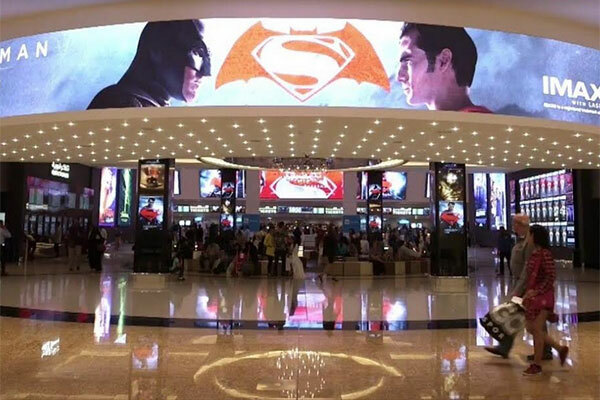 “There is a strong growth pipeline of new cinemas in the region, primarily driven by the opening of Saudi Arabian market. The research, to be released at the inaugural two-day Mena Cinema Forum – the first ever business conference of its kind for the regional market will be held at the Grand Hyatt in Dubai, UAE from October 28-29 – will offer a detailed research on the current situation and future growth potential of the cinema industry in the Mena region. According to Zenith Media in 2017, cinema advertisement spend in the Mena region amounted to $84 million (Dh308 million).